Alfred Acoulon was the foremost luthier employed by the Jerome Thibouville Lamy workshops, and he produced their flagship instruments under the soubriquet “Lutherie Parisienne”. Violins sold under his label were made entirely by him – in 1912 an Alfred Acoulon cost 20 times the price of a Geronimo Barnabetti. JTL was an enormous firm who made violins in a huge range of qualities, to fit all pockets. The top end of their production was in every way equal to that of Collin-Mezin, Silvestre & Maucotel etc. – in fact these shops were in constant competition to win awards. 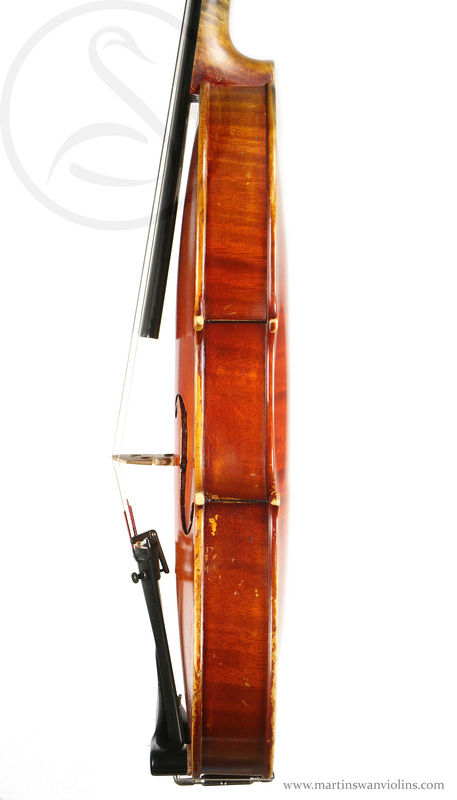 The condition is very good – there’s a wing crack to the right f-hole, a repaired crack under the tailpiece (about 7cm) and there’s a small area of damaged varnish in the treble c-bout rib, otherwise no issues. 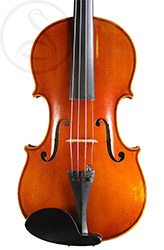 This is a terrific sounding instrument – these violins were designed for soloists, and they deliver. 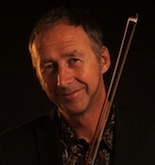 The E string is big and sweet up into the high reaches, the response is very rapid, gutsy G, nothing cluttering up the sound, no weak spots, just the right level of sustain. It has a big dynamic range, works well with a tickle of the bow or a hefty stroke, the sound always projecting yet full of harmonics. 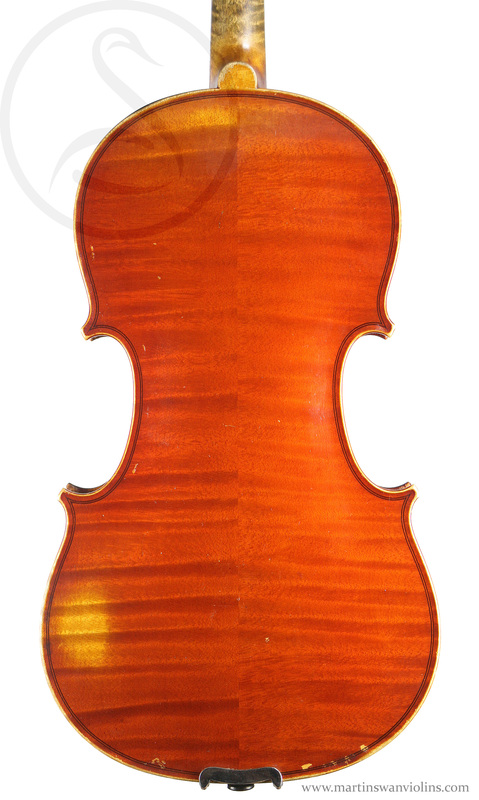 If you are of a timorous disposition or you want to sit back, then this is not the violin for you, but if you’re looking to be heard, it would be hard to find a better or more musical violin for the price.